A schematic is a diagram that represents the elements of a power system using abstract, graphic symbols rather than realistic pictures. The reason for not emphasizing reality is to communicate function, instead. A schematic usually omits all details that are not relevant to the information the schematic is intended to convey, and may add unrealistic elements that aid comprehension. The information that the schematic is intended to convey is determined by its role. Any depiction of reality by the single line diagram is on a large scale, it might show where major pieces of equipment are in relation to each other. On the other hand, though the AC and DC schematics still don’t show reality in every detail, they will contain information that will provide the link between the real depiction of the equipment seen in wiring diagrams and the almost purely functional depiction shown in the single line diagram. 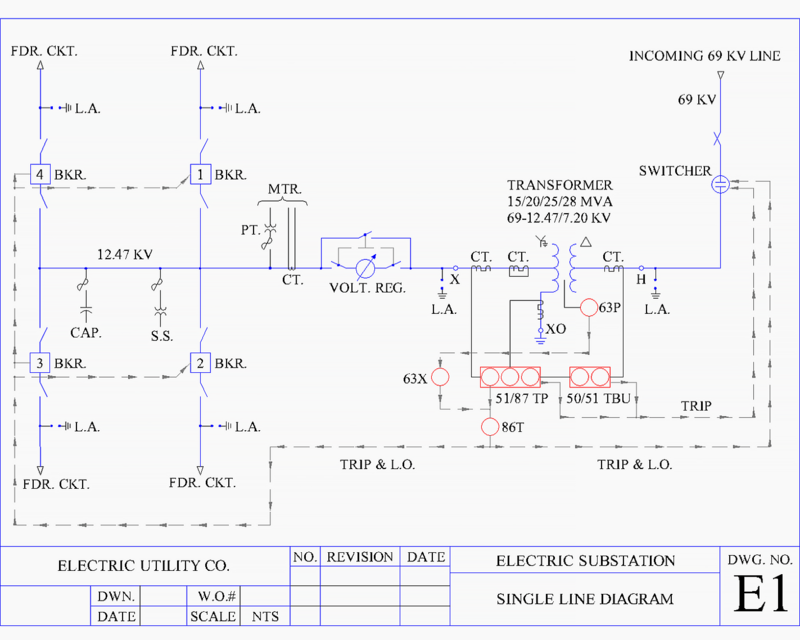 Specifically, an AC schematic diagram shows, by means of graphic symbols, the electrical connections and functions of a particular circuit arrangement. A DC schematic diagram is frequently used to represent the logic of electrical control systems (switching or relaying) including a number of switches or contacts, time delay and latching type relays, push buttons, limit switches, lights, and controlled devices like motor starters and solenoid operated valves. Consequently, the role of the schematic is to facilitate tracing the measuring and control circuits and the understanding of control functions without regard to the actual physical size, shape, or location of the component device or parts. In the schematic diagram, the symbolic elements are arranged to be easily interpreted by the viewer. 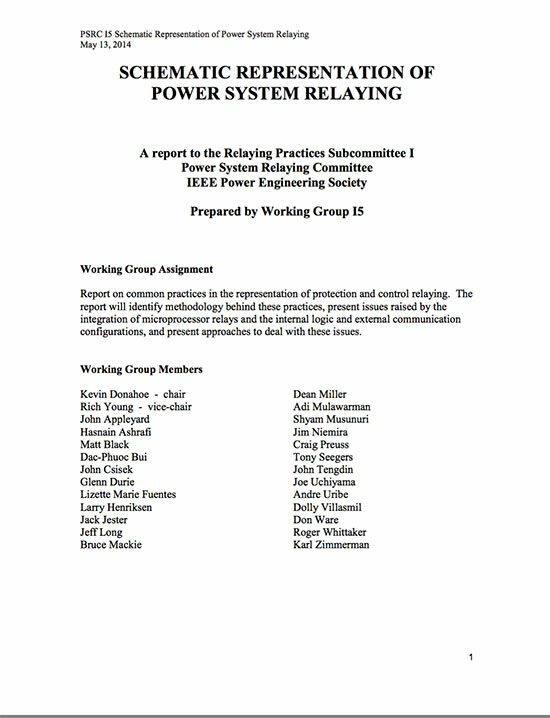 Power system relaying has unique requirements for long term accuracy to serve maintenance and troubleshooting needs. 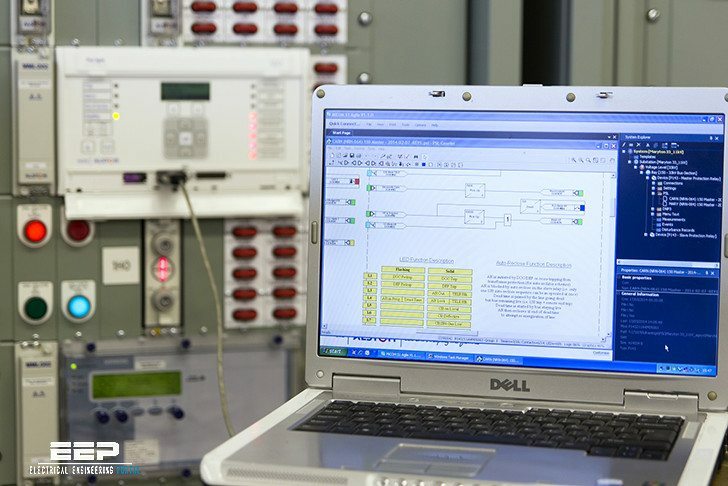 The facilitation mentioned above for tracing circuits and understanding functions is especially important to the requirements for maintenance and trouble shooting. For these reasons, these drawings will get special emphasis.